Che Ruddell-Tabisola together with his husband Tadd opened the BBQ Bus food truck in 2011 and was one of the pioneers of the region’s early food truck scene. In 2017 they expanded into a brick and mortar, the BBQ Bus Smokehouse. 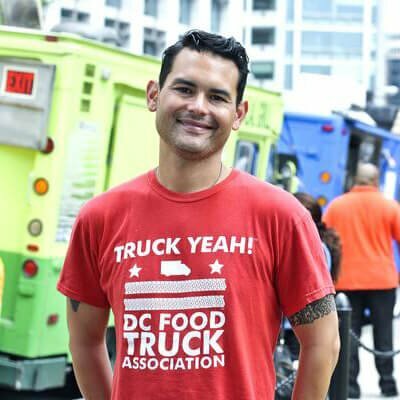 Che is the former Executive Director of the DMV Food Tuck Association, where he worked to expand opportunities for food truck entrepreneurs in DC, Maryland and Virginia. Today he is the political director of the National Food Truck Association and is a proud board member of Think Local First, which works to strengthen local independent businesses.